We are a licensed and insured kitchen and bathroom remodeling plumber in Southwest Florida. No matter how small or large your project is, we are the premier plumbers in Ft. Myers, Naples, Estero, Bonita Springs and San Carlos Park. We currently work with many local General contractors, painters, tilers and electricians but understand some homeowners would like to oversee the project themselves by choosing individual contractors to complete their project. Please call today for a 100 % no obligation free estimate. Large project or small,we will respect your home as if it were our own. That’s why we put down drop clothes and wear shoe covers to protect your floors. We will arrive on time, clean up any mess we make and warranty all the work we do. You can trust The Moen Brothers for issues as small as a leaky faucet or as large as a complete remodel or addition. An individually licensed technician will oversee every project so you can trust it’s done right. Having a sewer or drain issue? Moen Brothers Plumbing & Drain has the professional equipment to solve any sewer or drain problem fast. This equipment includes Sewer cameras, digital line locators, hydro jetters and the finest drain cable machines available. No matter what the clog is (roots, grease or a crushed sewer line), we will diagnose and offer you cost effective option for repairing it. We are available with a 24 hour emergency plumber and clogged drain cleaning technician as well. Frustrated by getting the other companies answering machine or answering service? 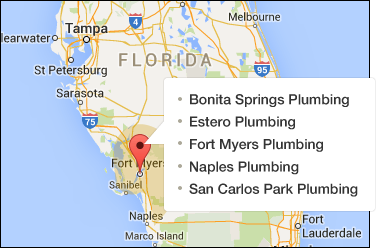 Call at any hour a speak to a master plumber in (Ft. Myers ,San Carlos Park, Estero, Bonita Springs, Naples)now. We are the premier Residential kitchen and bathroom remodeling plumbers in your area.